Sometimes as a Mum you know when something isn’t right. It could be something small like knowing that your baby has a bit of a belly ache all the way to big things like medical problems. I have always tried to trust my instincts even when part of my thinks I’m being too over protective or a bit OTT. I’d rather listen to my instincts and be wrong than ignore them and be right. We started weaning Smidge “early”. He has always been a huge baby and he was showing all of the signs at around 5 months that he was ready. He was watching us intently when we were eating, he was trying to grab food off of us and his brother...everything he was doing was showing us that he wanted food. So we started him on some baby porridge and then that advanced to some purées as the weeks went on. Everything was going really well and he was really enjoying food. Until he got poorly. A horrible cold/flu type thing went through the house and when Smidge got it, it seemed to affect his belly as well has his throat and nose. He would be so clearly uncomfortable with belly ache, was having a dirty nappy 4-5 times a day and I’m sure that he started to loose a bit of weight. The final straw for me was when he has a sweet potato and buterrnut squash purée (something that he had eaten and been fine with before) and his nappy the next day looked like we had put the purée straight into it. His body wasn’t digesting his food. Because of all this we took the decision to trust our instincts and we stopped weaning. We went back to just milk and stopped all porridge and purées. For the first couple of days it was tough because I knew that he wanted food. Milk wasn’t doing it for him anymore but I wanted his little belly to have a rest and to give him a chance to get better. We went for 2 weeks with no food as I was desperate for his belly to settle down again. As tough as it was it was definitely been the best thing to do as he became a lot more settled and his nappies went back to normal after a couple of days. Now he’s almost 8 months old and eating food like a champ! His belly seems to be coping and he is at his happiest when he has some broccoli or a biscotti in his chubby little fist! 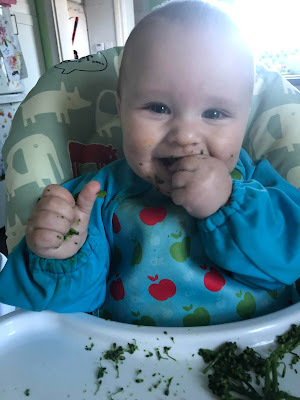 If you want to know more about how we are weaning Smidge (we ended up doing quite a bit of Baby Led Weaning) then leave me a comment to let me know. The point of me sharing all of this is to tell you to trust your instincts. No matter how small or menial or how crazy you may feel. Parents have this amazing thing inside them to know what their children need. Let’s face it, hundreds of years ago we didn’t have google to tell when something was wrong. We didn’t have health visitors enforcing weaning at 6 months or follow on milk or the like. The mothers from those times used their instincts and raised their babies as they thought best. We may not be able to understand what our instincts are telling us all the time and sometimes we get it wrong but listen to yourself and trust your instincts as you know what is right! You absolutely have to trust your instincts as a mum and do what you think is best. Weaning can seem daunting but it makes life so much easier too and it's a joy to see them try all these new tastes and textures!! When it comes to our babies parents definitely know best! I have found that no matter how much research I do or advice people give me I just have to go with my gut and do what works best for my son. I totally agree with trusting your instincts, I think mums always know best and it's so important to follow your instinct! Trusting your instincts is definitely the best way to go. With my oldest I nursed him until he was almost 4 months and I got judged for that for a long time. But my baby was happy and healthy and took to the new food right away. In fact, he weaned better than I did lol! Always go with your gut. That's the best thing the guidelines change so much all the time its hard to keep up too. Totally agree that trusting your instincts is the way forwards. 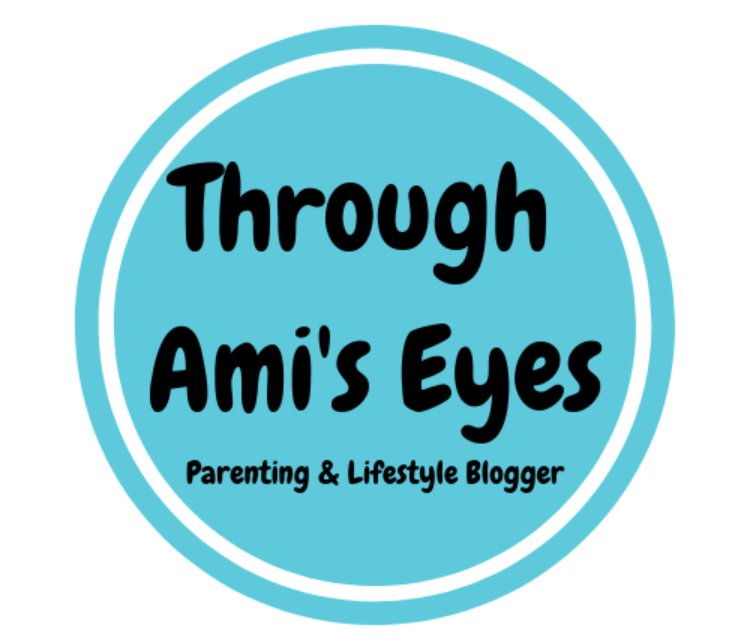 I started weaning both my kids before the “guidelines” say it’s time. It’s all about spending time with your babies and figuring out what they’re after. Glad his belly is happier now!